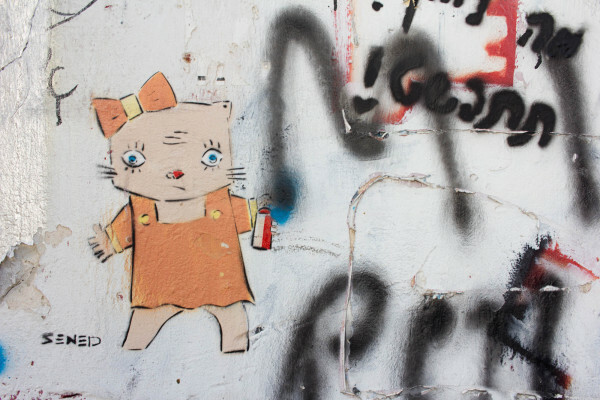 Sand dunes, camels and oriental markets, or glassy high risers, cats and crazy nightlife – what is your idea of Tel Aviv? Mine was probably a little bit of both. 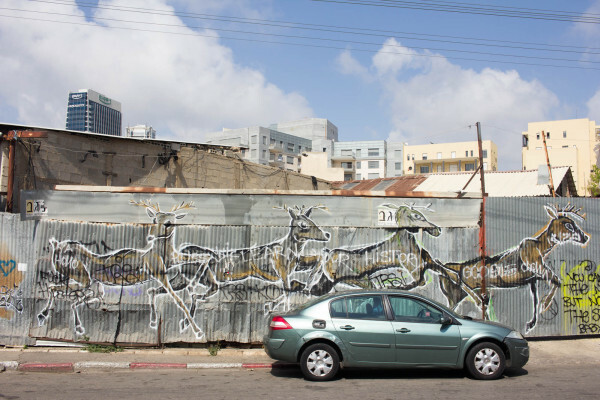 Having met Israelis before, I knew Tel Aviv was a city that never sleeps. I knew it was by the seaside and surrounded by desert. I knew it was considerably secular and welcoming. I had heard about the local food and the diverse cultural mix of people. But, oh dear Travelettes – I had no idea what all this would mean thrown together in reality! Tel Aviv is potentially the smallest metropolis I have ever been to. 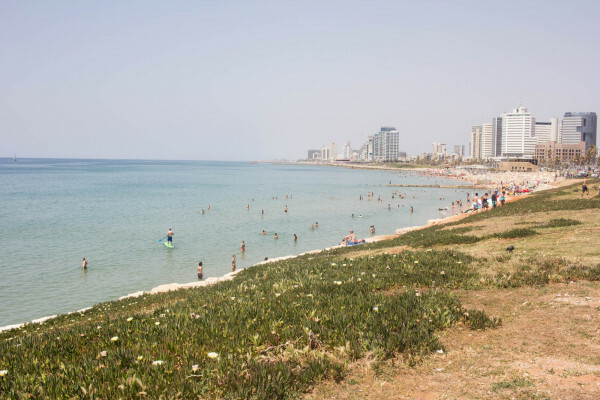 Only 400,000 people live here, although the Greater Tel Aviv area counts well over 3 million. 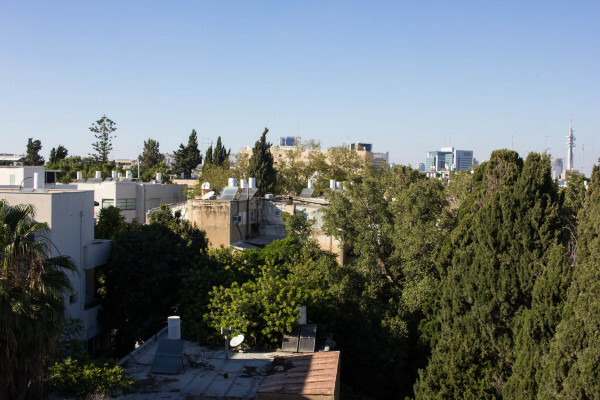 If you talk to a real central Tel Avivian, don’t even try to define the suburbs as Tel Aviv though – they will tell you, what is and what is not ‘the city’. Back to its surprising size though – despite it’s smallness, it feels so big and diverse, a new neighbourhood behind every corner, vibrating with life, young, beautiful people whereever you look. One could think you’re in Berlin, New York or London. The city is not only a city that never sleeps, it’s also the start-up capital of the world (closing in on San Francisco & Silicon Valley). Google is here and Amazon, but also new start-ups like Roomer or TravelersBox. The creative energy is always buzzing. Young people from around the world are magnetically drawn here like flies are to light. 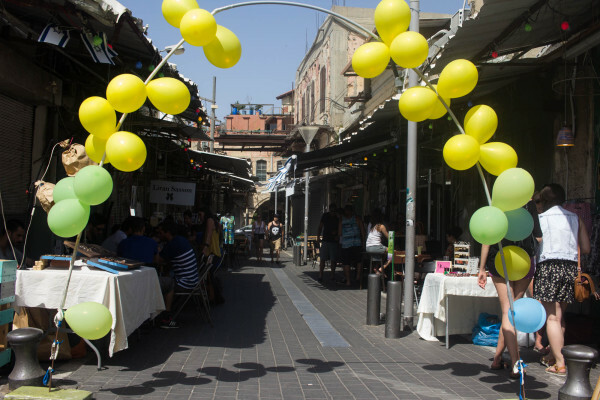 You’ll find a lot of likeminded souls in a very small space, unfortunately this also means that living here is not on the cheap side… Either way, exploring Tel Aviv is a lot of fun. There are so many sides to it, that you need at least 4-5 days to only meet its most obvious faces. To dig deeper, take some more time, befriend locals and stay for a while. 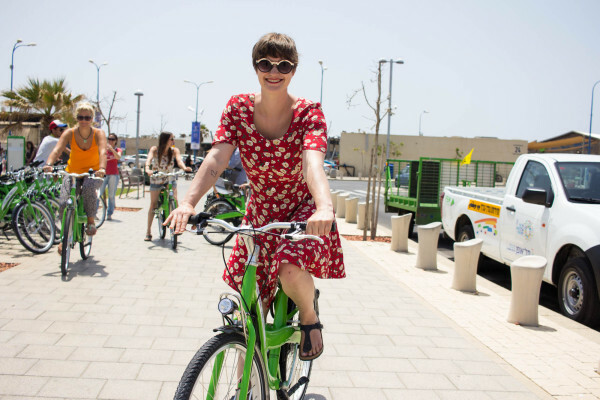 Tel Aviv is incredibly walkable, and as the first day I spent there was Shabbat, I didn’t even start getting my head around public transportation (busses don’t operate on Saturdays). You’ll probably don’t need to either. If you need to move faster than by foot, take out a green Tel-O-Fun city bike. There are stations everywhere, and it’s quite cheap (around £3 for a day ticket). You’ll find plenty of bike paths, but people also don’t mind so much if you drive reasonably on the walkways if you’re uncomfortable on the road. Like in any other city that doesn’t follow an easy-to-navitage grid, you are quite likely to get lost at some point. But don’t despair. First of all, there is no place in Tel Aviv where you have to fear for your belongings, as it is generally a very safe city. Even walking around on my own with my flashy DSLR camera, I never bumped into trouble. 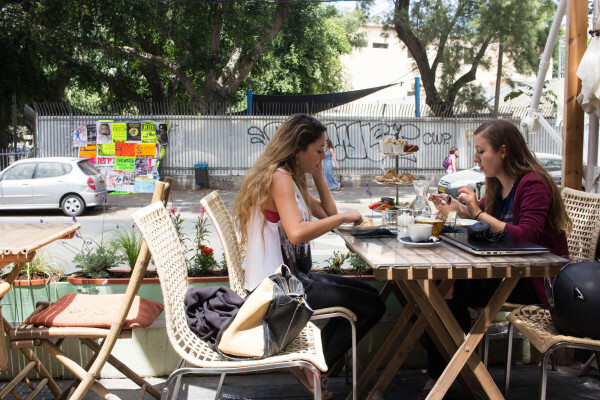 And secondly, there are so many places with free WiFi – either cafes and bars, or public places (search for the network FREE_TLV), you can easily locate yourself with help of Google maps. Most street signs are trilingual (Hebrew, Arab and English) so you should always be able to make out street names and directions. Generally, people speak English, because so many of them have either traveled extensively themselves, or have lived abroad for a while. 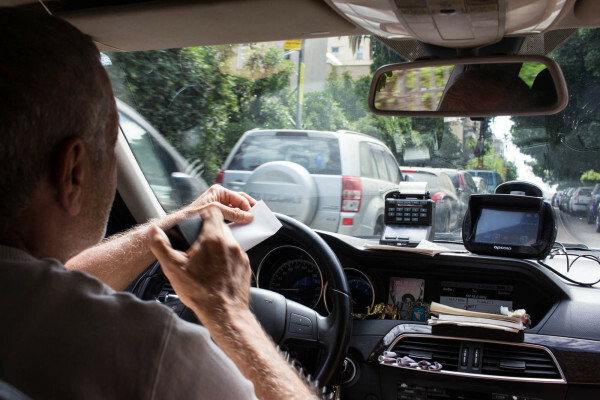 Tel Avivians are welcoming and helpful, so if you’re lost just ask them for help. You’ll probably get a bowl of hummus for on the way. Catering to such a young crowd and with many direct flights from all over Europe, it is no surprise that there are numerous options for accommodation. 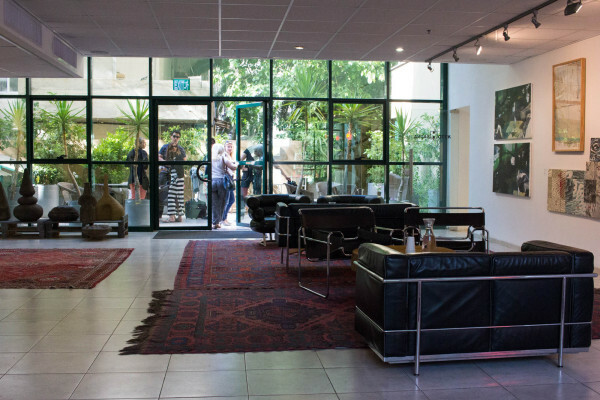 You’ll find a couple of hostels, but also cool boutique hotels, like Yam Hotel by the beach or Market House in Jaffa. 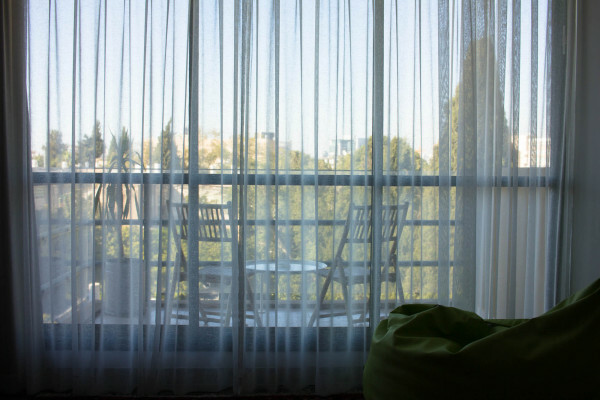 I stayed at The Diaghilev, which is a cool art boutique hotel very close to Rothschild Boulevard – part of the green belt surrounding the city centre of hipster town. I liked that everything was walking distance from here – 10 minutes to breakfast at Carmel market, 20 to my tan on the beach and roughly 25-30 to reach the shops in Old Jaffa. In my room I had plenty of space to spill out all my belongings like at home – a bed for my lazy self and a dresser for part of my clothes; a couch and touch table for all my brochures, souvenirs and electronic equipment; a desk for my laptop and notebooks; a kitchenette for my coffee and chocolate collection; and a cupboard for the clothes that I hadn’t dragged into my bedroom yet. You see – a lot of space. Oh, and did I mention the balcony with a view yet? The staff was super helpful with maps, recommendations and job-switching-requests once they found out who I’m lucky enough to work for. Above the lobby there is a co-working space for start ups, and at Backstage cafe, next to the lobby, I got my daily morning kick of caffeine and hummus. 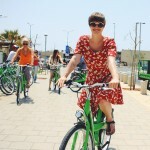 Rent a Tel-O-Fun bike to cycle from the Tel Aviv Port in the north to the old town of Jaffa in the south. 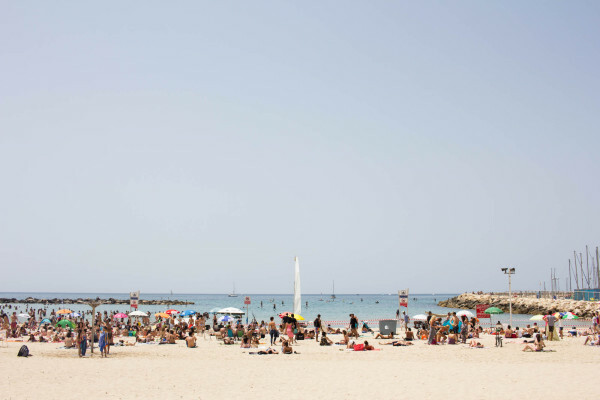 You’ll pass the city’s many beaches – some open to dogs, some particularly gay-friendly, and all plastered in tanned people under bright umbrellas. 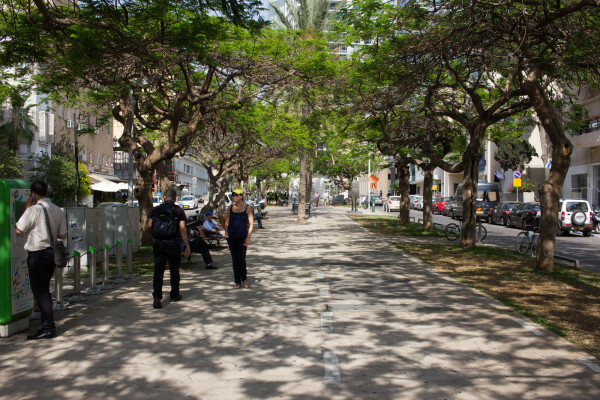 In town, cycle underneath the trees along Rothschild Boulevard for some Bauhaus architecture and hipster cafes. Spread your beach towel at Alma Beach, alongside all the other cool kids, and spend a day lying in the sun, playing a set of beach ball with a stranger or rent a stand-up paddle board – or even do stand-up paddle yoga. 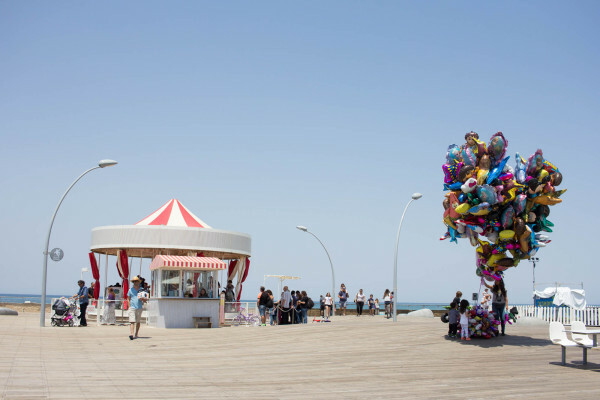 Along the promenade you could stumble upon curiosities, like open dance lessons for traditional Israeli dances. Another great place to stroll, which will hopefully live forever, is Old Jaffa south of the beaches. Jaffa was here long before Tel Aviv; the old port being first place of contact for many sailors and merchants with what today is Israel. Later on the Jewish people of Jaffa should build Tel Aviv, but in the beginning all there was, was the maze of Old Jaffa. Today, this is one of the coolest areas of town. Vibrant bars and cafes, trendy boutiques and local designers, a flea market on a sunny square and second-hand shops filled with tons of useless bric-a-brac, interrupted by the occasional vintage gem. 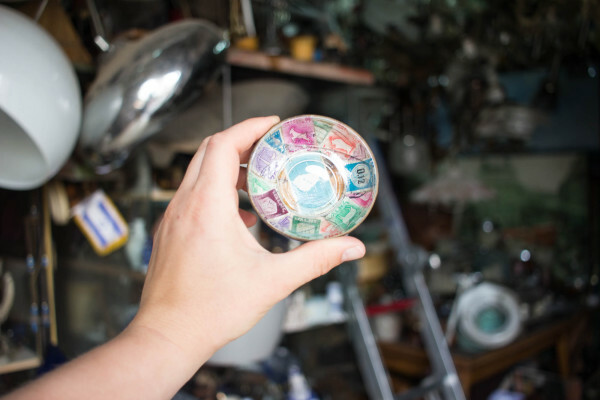 I could have spent all day looking and searching through piles of junk, to find the perfect souvenir – which I luckily also did! Finally, the beer lover in me was surprised about the high quality of craft brews available in every oh-so-tiny cafe or bar. Usually in warm countries, most beer tastes more like water and are very easy to drink – think Corona, for example; just perfect in the heat. In Tel Aviv, I didn’t expect to taste the first ever stout I like (so fizzy compared to Guinness) and the best blond ale ever (Malka Blond Ale at Backstage Bar at The Diaghilev), but I did. Beer-heaven! I’ve already told you about the flea market and second-hand junk shops in Jaffa, but there is more. For all kinds of edible souvenirs, like all sorts of nuts and spices, head to Carmel Market, a busy market, part indoor, part outdoor, with one main street and many hidden stores in the side lanes (much cheaper there!). One end seems to be more frequented by locals on their routined grocery sprees, while at the other end there are mainly American teenagers shopping for sunglasses and bangles. 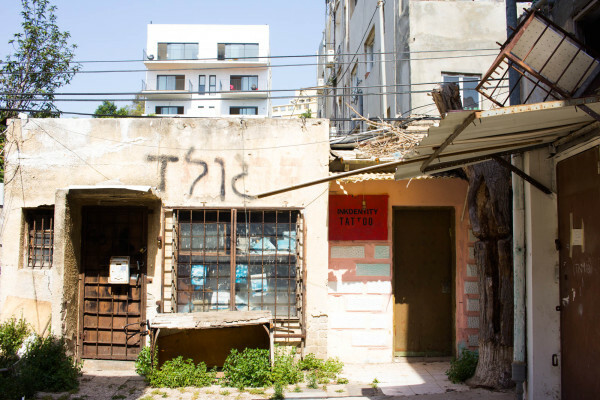 The surrounding streets are quite cool and offer a lot to discover, particularly Nahalat Binyamin Street with its plethora of fabric shops and gritty backyards. For local design and fancy boutiques you have two options. 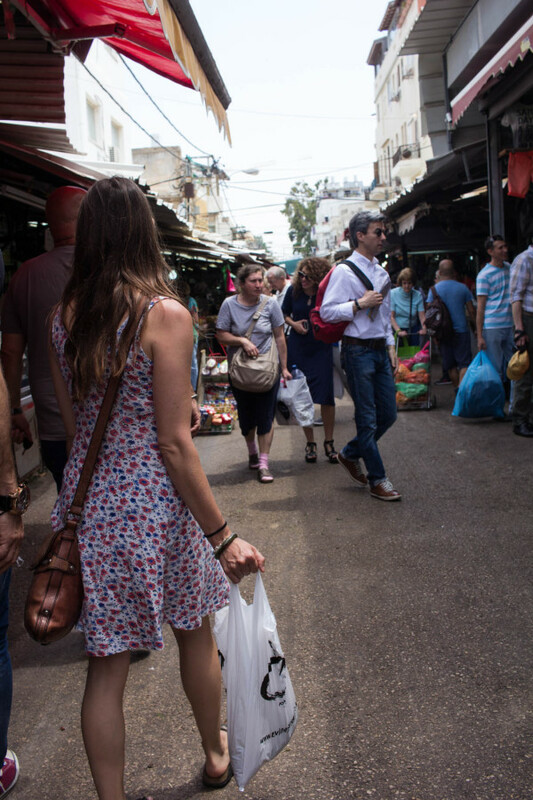 You can either stay in the Jaffa flea market area and explore the boutiques dotted between the second-hand shops. I got some of the funniest soap bars I’ve ever seen as souvenirs for my flatmate, and my friend found an amazing dress in one of the shops. We first visited on Shabbat: while the second-hand shops remained closed, the alleys opened up to a pop-up design market full of treasures. 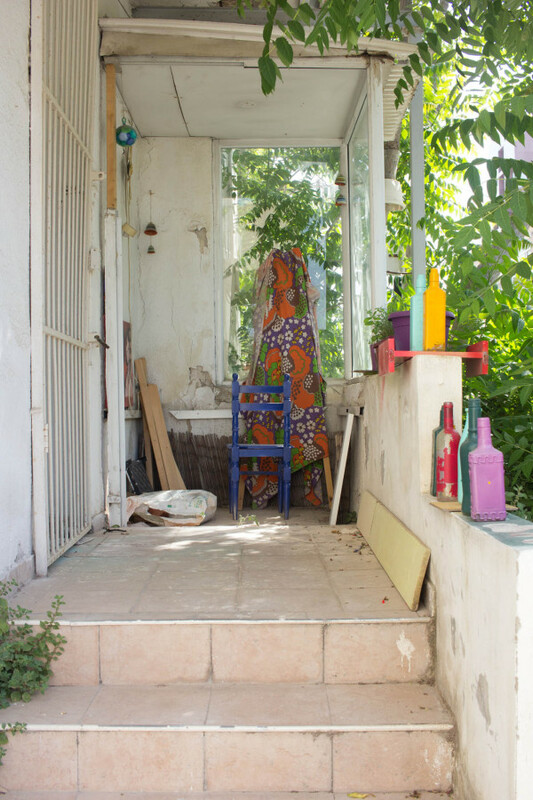 Or you can explore Neve Tzedek – one of Tel Avivs most popular areas. My favourite street in the neighbourhood was Shabazi Street. A pair of yellow heels from Shlomit Ofir almost made me forget my manners, but in the last second I managed to get my hands off them – my credit card would not have been too happy. They do have a great sale on beautiful jewellery at the moment, so it’s worth checking out! 1. 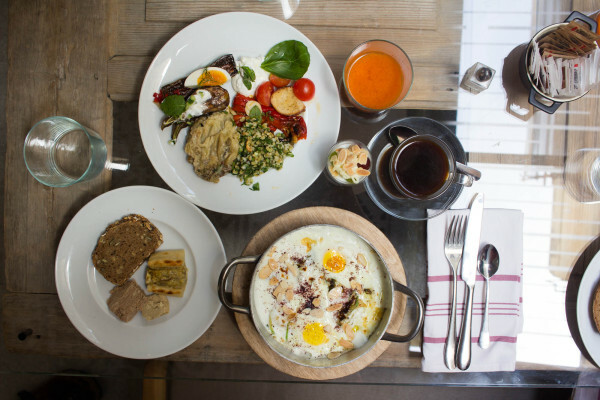 Israeli breakfast at Mendeli Street Hotel: Imagine all the veggies you can think of, throw in loads of break and pastries, a block of sweet halva and an iron frying pan filled with shakshuka – welcome to paradise. 2. The best place to try hummus in its most luxurious form, served as Msabbaha, is Han Manoli in Old Jaffa. Msabbaha is a bowl of hummus topped with all kinds of things – maybe more chick peas, maybe chicken or roasted beet root – you decide! 4. For an intimate home-cooked dinner you don’t need to force yourself upon an Israeli stranger – you can simply book a dinner experience via EatWith.com. 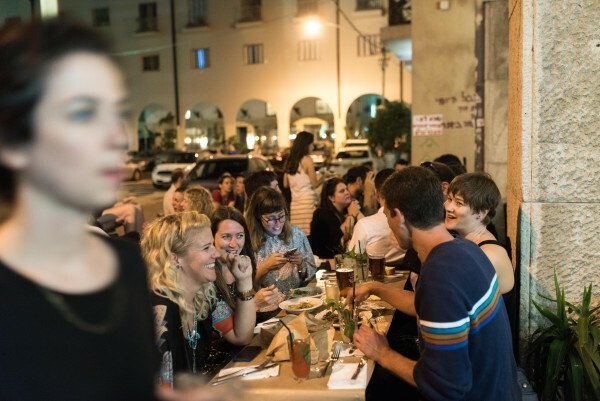 We were invited to join the Chipolina Supper Club for an evening of face-stuffing and getting to know some Tel Avivians. 5. 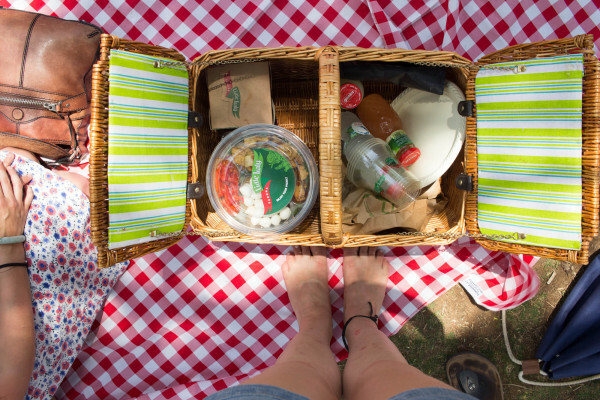 Last but not least – the most genius idea for a cool lunch with friends: a picnic in Little Italy. Here you order fresh pasta, pizza and salads, get everything packed in a basket (including a blanket, cutlery and a bin bag) and then are free to find a spot underneath one of the surrounding Blue Jacaranda trees. 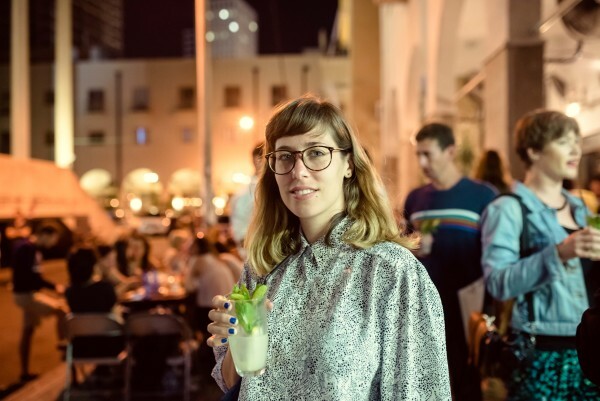 To wash all this down, to meet more locals and to find out what the entire ‘city that never sleeps’-thing is all about, you need to experience a night out in Tel Aviv. Start with an early aperitif at the street art-decorated Casba in Florentin, or one of the bars in the Jaffa flea market neighbourhood. Then head on to the heart of Tel Aviv hipsterism: Port Sa’id – the coolest dinner and cocktail joint in town. The food is mind-blowing, but even if you’re not hungry, you should come here for the atmosphere. Bearded hunks and the most beautiful women queue up to get one of the highly demanded outdoor tables, and because those are so limited the party expands across the entire square in front of the bar. Try an Araq cocktail with fresh mint – so good! If you feel like dancing later on, you will love Kuli Alma, a club part indoors, part open-air – just the way I like them. Get the party started with Tubi 60 – a cloudy yellow pre-mixed drink of which none knows exactly what it contains… but as long as you don’t have to many, why not? It tastes a little like Limoncello, just better and stronger. 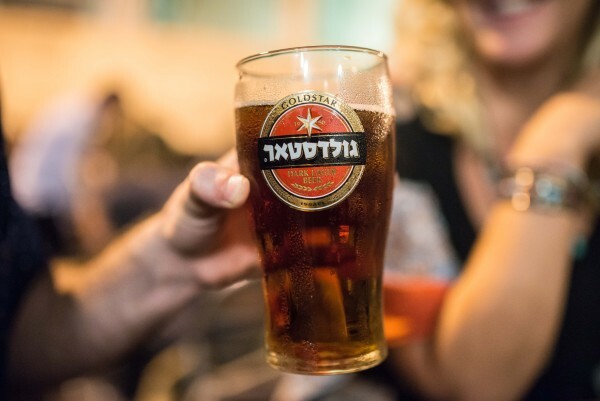 Other bars that were recommended, but I didn’t have the energy to check out are Buxa, Alphabet, Breakfast Club and Har Sinai – all are said to ‘generate bearded, skinny-jeans-donned, ironic-tshirts-sporting queues on a weekly basis’. At least that’s what one of them bearded hipsters told me. I don’t see what would be wrong with that! With surprises awaiting behind every corner and so much coolness, that I could barely keep my cool (ha! ), Tel Aviv certainly blew me away. One day I hope to return, eat another wheel-barrel of hummus and work my way through the endless things to do and see, that I haven’t managed to try so far. Do you have anything to add? Did you enjoy this post? Never miss an awesome read, monthly give-aways and much more by joining our newsletter! Disclaimer 1: Although I speak of ‘Israel’ in this post, I distance myself from any pro-Israel/pro-Palestine/anti-Israel/anti-Palestine discourse. It says Israel on the map and in my passport, so I’ll go with that. I do have a political opinion, and a dream of harmony and more than just co-existence, but this blog post is not the place to share or discuss it. No matter what you want to call the country in which Tel Aviv is located, it’s an amazing city – and I hope I showed you why! 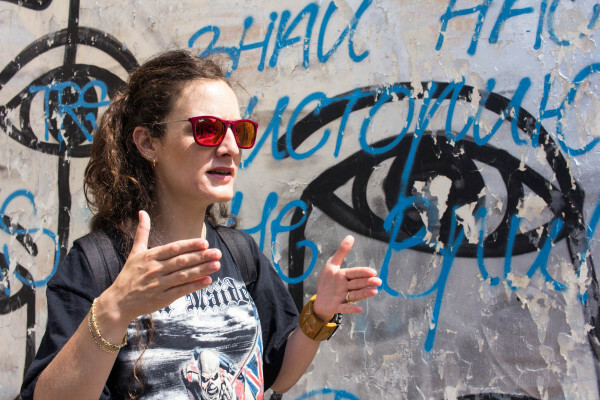 Disclaimer 2: I was invited to visit Israel by the NGO VibeIsrael. All views and opinions however, are mine alone. Except for my opinion about the food – I think everybody would agree, that it’s the best food in the world. If not, then, well, they probably haven’t been there yet. Thank you for having me, VibeIsrael! I really want to visit both Israel and Palestine, there's so much history but I have to admit I'm too divided about the political situation. I think one needs to go before allowing to raise any political opinions to begin with. Or one should. Because maybe the world needs more art, more markets, more dancing, more cocktails and more food to share to get along. 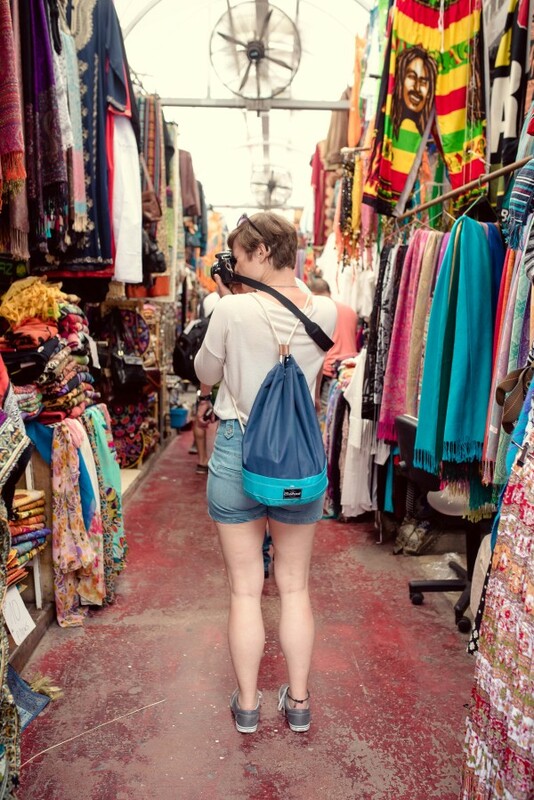 Thank you, Kathi, for showing a glimpse into a city that looks truly wonderful and inspiring! There is no Palestine besides Jordan. The war of 1948 was a civil war and the Arabs lost. The only country in the Land of Israel is the State of Israel. If you want to go to the Arab controlled zones in Judea or Gaza I would not reccomend it as both a woman or a westerner. "I really want to visit both Israel and Palestine, there's so much history but I have to admit I'm too divided about the political situation." Judging by the fact that you would not go to a democratic country with a lot of LSBT-rights and great freedom of press and religion, for "political reasons", may I assume that you must be politically either on the extremist far-right or extremist far-left? What is also bizarre is that there are millions of Westerners going to India, the Emirates(Dubai), the Maledives, Egypt, Indonesia, Turkey, Iran for and other countries that do one or multiple of the following: suppress ethnic groups, women, religious groups, control press and persecute homo sexuals. You hardly ever see a comment about those country like the one you made... Think about it..